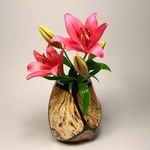 This carved wood vase was created in Thailand. 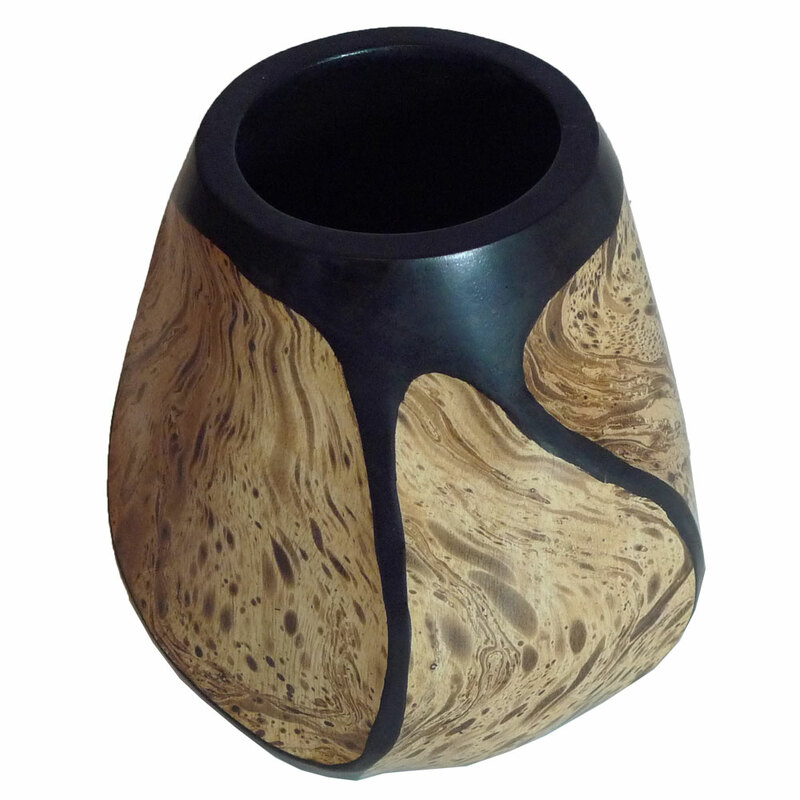 Crafted from Mango wood, it has a strong, distinctive, natural shape. 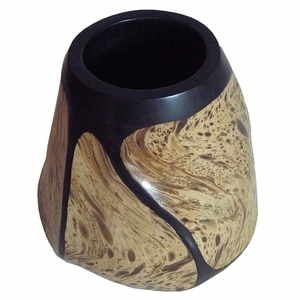 A faux finish is applied by hand by Thai craftsmen. Comes with a removable glass container, to hold water for fresh flower arrangements. The vase is 6" high and 5.5" diameter (at its widest).